There I was, driving aimlessly unsure about where I am headed to or confused as to why am I even seated in the car, driving, in the first place. Thoughts swirling around in my head but none constructed in a way I could speak out how I actually felt. Instead waking up to unknown carvings is how I get know myself more. Who am I? What’s my purpose? Will there be an end to this journey of recovery in finding myself? As I was about to take a turn back home, THEY told me to keep driving. I complied and drove straight still dubious where this was taking me. Then at that moment, it struck me and I knew I wasn’t alone. THEY were back after what seems like an eternity. What looked like a calm and undisturbed night turned into a phantasm that resemble the complex of my consciousness. Then, there was this unsettling feeling in the car, when one of THEM spoke up ” Where do you want to go?”. The air smelled dead, silence took over and it wasn’t the type of silence where you were comfortable but the type you hear at a funeral home. Or the silence when you are in a box, six feet underground. Dead air. I was unaware that SOMEONE replied but after a long pause then it hit me. “Away”. That’s when I comprehend as to why I was driving in the middle of the night. It wasn’t a lonely drive anymore. Whispers of the nameless permeated through the walls of the car. The voices were deafening, agitated me to step on the gas further. 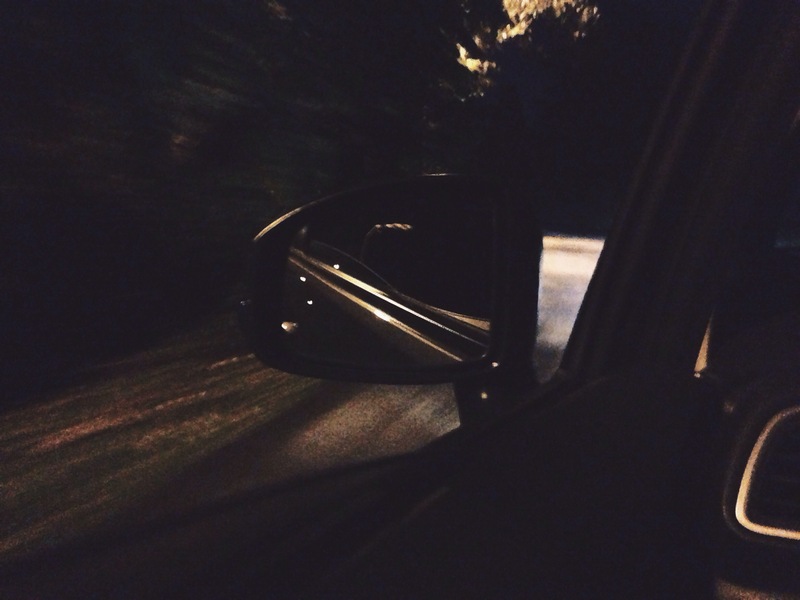 My body was convulsing as I grasp onto the wheel trying to shut the voices out. As I was driving, standing by the street, I caught a glimpse of that man. I don’t know who is he, or where is he from but his always there. Sometimes staring down my bed or peeping at me from the stairs, and there he was again, standing by the street as I drove pass. Abruptly, there was a shrieking in the car and it was all out of the blue. The high beams from the oncoming car gleamed through the windscreen blinding me and the car swirled across the street to a safe grassy area. I was out of breathe. My body was tremoring violently. My hands were shaking and I was panting for air all of sudden as if the oxygen ran out in the car. I collected myself together and revved up the engine again and drove straight home this time. I remember like it was just yesterday. That night I couldn’t sleep when there was this ear-piercing sound going through my head. It was the same noise that almost caused my life. I try to grasp to the words that was laced with anger and atrocious. The hammering of voices against my head stopped and that’s when I knew what it meant. “Dead”. Carved onto me. That is a great post! Meandering through shadows and light. Thank you for taking your time to read!! Thank you for dropping by mine 🙂 This is a great piece of writing you have here! You describe incidents pretty well. It was a pleasure reading your work 🙂 Admire your writing. Thank you, for reading my blog. I truly appreciate it! I love your blog and all of your writing. You truly pull me to where I want to read more. You have a great way of expressing your feelings and making others feel what you are or were feeling at the moment. Great job!